From Chess.com forum : "What music do you listen while playing chess?" Yes, some people do like listening to music while playing chess. Although this kind of thing is unheard of in the Super GM club, I had a first hand experience when I was paired against GM Mark Paragua and he had his earphones on during the game! I lost that game and drew solace from the fact that maybe he had more inspiration and peace (than me), thanks to the music in his ears! Head to the forum to see what people like listening to when they play chess! From chess-news.ru : "The Match Should Be Held On Neutral Territory"
Aaand the politics has just begun. Now with MC "refusing" (not confirmed) to play in Chennai (not confirmed either), the venue for the World Chess Championship is like the Higgs boson; its there but its not. As an Indian Chess fan, watching the Anand vs Carlsen match in person, in Chennai, will be my biggest Chess moment! "India is not a neutral territory and in addition it will be hard for Magnus to play there because of the climate and food." 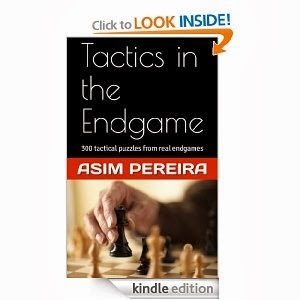 A nice article on "home advantage" and if it makes any difference in the game of Chess. Talking of Chennai, here is another nice article on the effects of the match on the Indian chess scene. 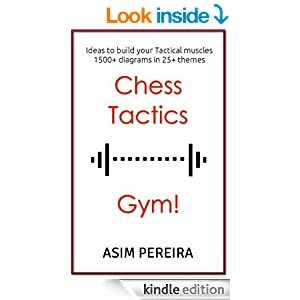 "Chess, unlike football or cricket, is largely unaffected by factors like the crowd, referee bias, fatigue of the travelling side and familiarity with playing conditions. With all these parameters eliminated, a study used multiple regression analysis to see if home advantage in chess could negate a difference in player strength, as indicated by their rating points (another measure rather unique to the sport, making such a study possible). The advantage of playing at home in this board game proved to be statistically insignificant (Sorqvist)." A nice article with some interesting "decisive" positions from historical as well as critical moments from the Candidates. Do not forget to put on your Chess glasses for this post! "After showing 0.00 for about an hour, suddenly the online analysis engine went mad after 50.g6?? - and so, as a result, did the viewer. So what I'm saying is, in a way, that I wish the online engine had been quicker off the mark, or that mine had, because that way, I'd have known. I understand, at the same time, that not knowing is part of chess, part of its very nature, just as the goal that shouldn't have stood is an intrinsic part of football. Pachman didn't know for sure what had happened in Bronstein-Keres, and that was twenty-two years down the track. That's the mystery." Thanks to all for the birthday wishes. 50! It is almost worth getting old to hear so many kind thoughts! April 13 of '13, my lucky number! There was a lot of "Kasparov" in the news recently since the former champ received a human rights award and he "is ready to help Carlsen against Anand" which he again denied as rumors and also celebrated his 50th birthday on April the 13th (luckily it was a Saturday)! Not sure when was the last time FIDE wished the World Champion Anand or the World #1 Carlsen on their birthday, but here are kind wishes to Kasparov from the FIDE board. Politicians make interesting bed fellas! I think Gary is probably the only Chess player who has suffered cuts and bruises in off-the-board violence. "UN Watch has decided to grant the Morris B. Abram Human Rights Award to Garry Kasparov for his long and non-violent struggle for fundamental human rights in Russia," said executive director Hillel Neuer. "Mr. Kasparov is not only one of the world's smartest men, he is also among its bravest." Nice collection of birthday wishes from his former coach Nikitin to his last conqueror Kramnik. Kramnik has also been in the news for some awesome extensive interviews (unfortunately in Russian). Hope you did not miss the first part (English). He also has a second big interview here (Russian, but can use Auto translate), or just wait for a proper english translation to appear. After the brilliant performance in the Candidates, we would have loved to see Big Vlad in action in the super strong Norway tournament in May, but looks like he is not playing in Norway.